Last night the world discovered that actor and comedian Verne Troyer passed away aged 49, and this morning fans are coming to terms with his death. Verne rose to superstar fame after playing Mini-Me in the iconic Austin Powers films. His passing was announced on social media but as yet no cause of death has been revealed. However, Troyer had been battling alcoholism for years and in 2017 he was taken to hospital for the illness before checking into rehab. 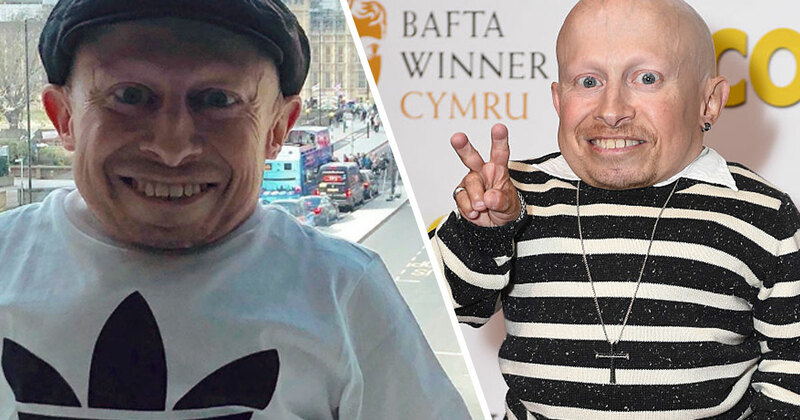 On April 3 this year, Troyer was hospitalised with suspected alcohol poisoning after a friend had called emergency services claiming Verne was ‘extremely upset, drunk and suicidal’. Fans have flooded to the posts to pay tribute to the 2′ 8″ actor, and the juxtaposition between his happy, smiley holiday snaps and the news of his death is tugging at heartstrings. Part of what makes Verne’s last pictures so tragic is how normal they are, how relatable. A typical tourist snap in front of Big Ben, pictures of the London Eye. They are exactly like the pictures any of us would take on a holiday to that city. No hint of any problem that would take Verne’s life a month later. Verne Troyer was undoubtably a huge star, after being in 58 films, some of which were spectacularly successful. I’m still trying to get used to it. I’m just adjusting day by day. So you know, it’s… I don’t know. It’s… I’m just enjoying it and taking it one step at a time. Certainly in recent years Verne had settled into a more confident relationship with his fans, especially on social media where his warmth, humour and good nature shone through. He was very engaged in Reddit, engaging with people on the platform regularly in all sorts of unexpected places. His honest and relatable approach to social media was part of Troyer’s considerable charm. He stayed humble despite the fame and wasn’t afraid of self-deprecating humour. He took his small stature and owned it, joked about it, and made his living as an actor by taking roles that highlighted it. In this he was relentlessly inspirational and that makes his passing all the more heartbreaking. I never knew I needed something so bad until I saw a face chair. Our thoughts go out to Verne’s family and friends at this hard time.